As a leader, you have the opportunity to cultivate a culture of compassionate communication. This practice improves the quality of relationships by facilitating the flow of communication more effectively and resolving differences more peacefully. Leveraging your self-awareness and increasing your intercultural competency gives room for you to co-create a more equitable environment for your diverse colleagues. Research shows providing equitable opportunities for visible minorities in the workforce increases the recruitment and retention of top talent, as well as contributes to more creativity, innovation and productivity (Cukier, 2007), which are essential considerations for leaders. This workshop will discuss how our cultural lens impacts our attitudes and behaviours which can be examined by using intercultural competency tools. We will also discuss compassionate communication which aids in creating solutions based on mutual respect and consensus which meet individual and societal needs in life-enriching ways. Focusing on shared human values and needs by encouraging the use of language that increases goodwill and avoidance of language that contributes to resentment or lowered self-esteem. 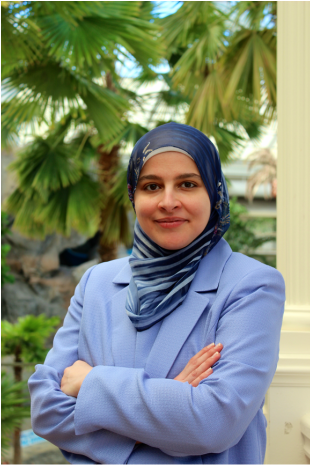 Raghad Ebied is a transformational speaker, author, researcher, and education and training consultant in the fields of education, diversity, well-being, compassion and overall personal development and positive transformation. She is also pursuing a PhD at the Faculty of Education at Western University. She has over 15 years of experience in health promotion, program development and management as well as speaking, training, teaching, coaching, and consulting with individuals, schools and universities, organizations including community and non-profit, as well as government. Her passion for positive transformation enabled her to pursue a Masters Degree in Educational Leadership from the U.K, preceded by a Bachelors of Arts in Psychology and a Bachelors in Education in addition to certifications in leadership, life coaching, and relationship coaching from Canadian and American universities and institutions. She has completed Compassion Cultivation at Stanford University. She is the author of “Hope Rekindled: A Heart Empowered” which was among the top 5 bestsellers in inspirational poetry on Amazon and is a compilation of poems, prose, quotes, and reflections on hope, healing and empowerment. She is also the co-author of an Arabic/English children's book series called "Hadi's Adventures" which promotes positive values, creativity and diversity.